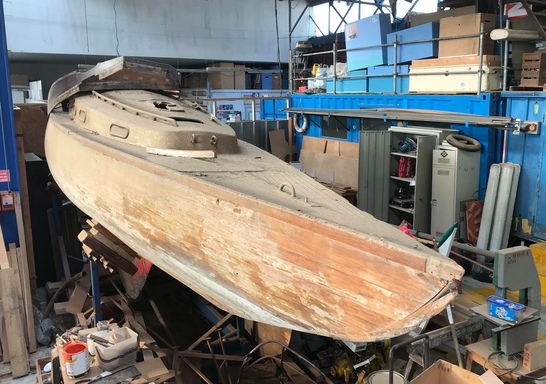 She has just been found in the boatyard of the Maritime Museum at Rouen, needing a little bit of work before sailing again. Patric Fredell sailed this boat under the name Marina at least in 1962. Maybe he borrowed it from Gösta Svensson who was the owner up to 1964. From that year the boats name is Carioca I. Patric had his new boat Carioca II S41 in 1966. This boat later had the names "Carioca" and "If".